The big news dominating financial markets right now is split between the continued improvement in employment numbers and the potential impact of the pending Tariffs on steel and aluminum. So far this year, most economic releases have met or exceeded predictions, proving that the economy is growing. But right now – the focus of the markets is on speculation about a potential global trade war when the tariff bill is signed by President Trump. As far as the upcoming Fed meeting, markets have already absorbed the effect of the pending rate increase. The Beige Book was released today, a compilation of all 12 Fed districts views on the current economic health of the individual regions. The San Francisco (12th District) reported economic growth at a moderate pace with strong activity in the residential real estate sector. Read the full Beige Book report here. 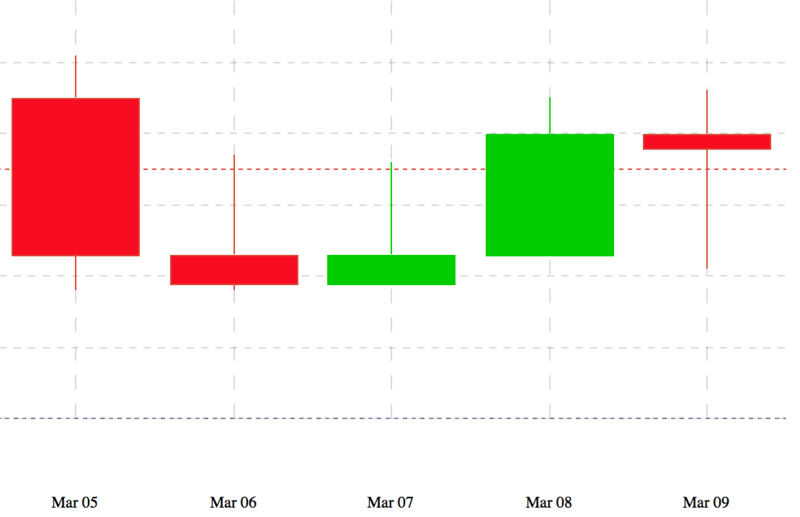 Mortgage Backed Securities (MBS) that directly impacts the mortgage rates remained mostly stable last week as evidenced by the candlestick chart below. The days of red indicates higher rates and days with green a day of lower rates. 15 Year fixed mortgage rates rose to the highest level since April 2011 to 4.11% and 5/1 ARM rates decreased to 3.81% compared to 3.85% last week. Both the loan programs had average discount points of 0.59 (1 point = 1% of the loan amount). 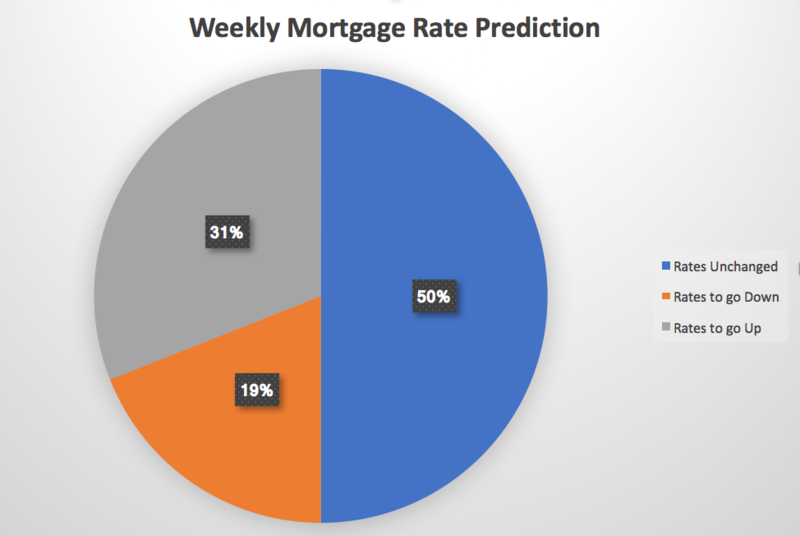 Weekly mortgage rates and trends from Bankrate, a compilation of mortgage and economic experts across the country, shows a majority prediction (50%) that rates will remain unchanged this coming week. 19% predicted rates would fall and 31% predicted they would increase. The overall outlook for the past week focused on stabled growth in the economy with concern over impending wage inflation and potential global trade wars. My recommendation is locking in your interest if you are closing in the next 45 days.